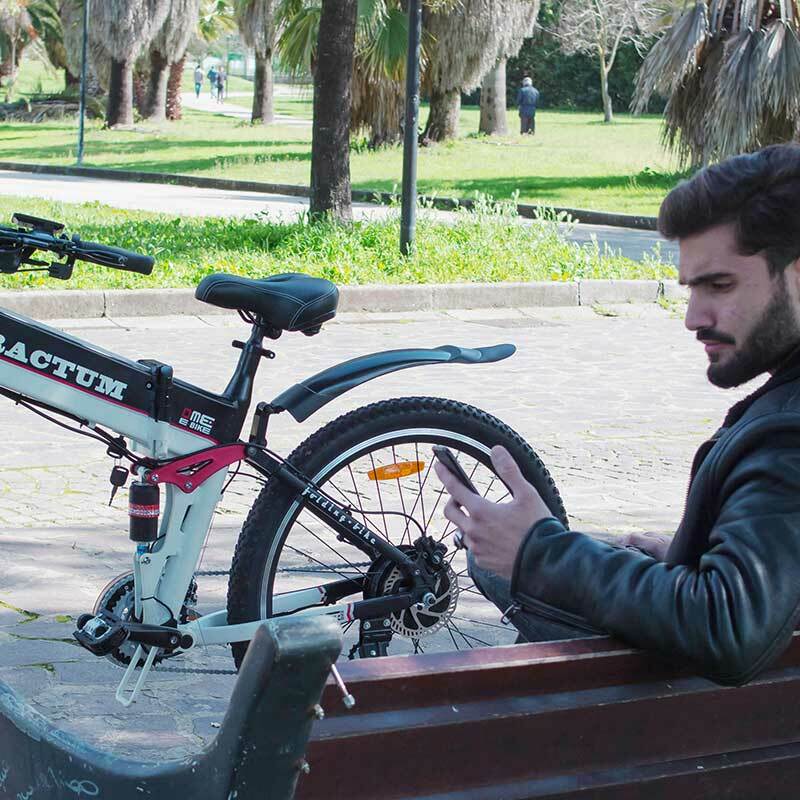 27.5 "electric mountain-bike, mechanical brakes, double shock absorber, aluminum rims, 5 levels of assistance. 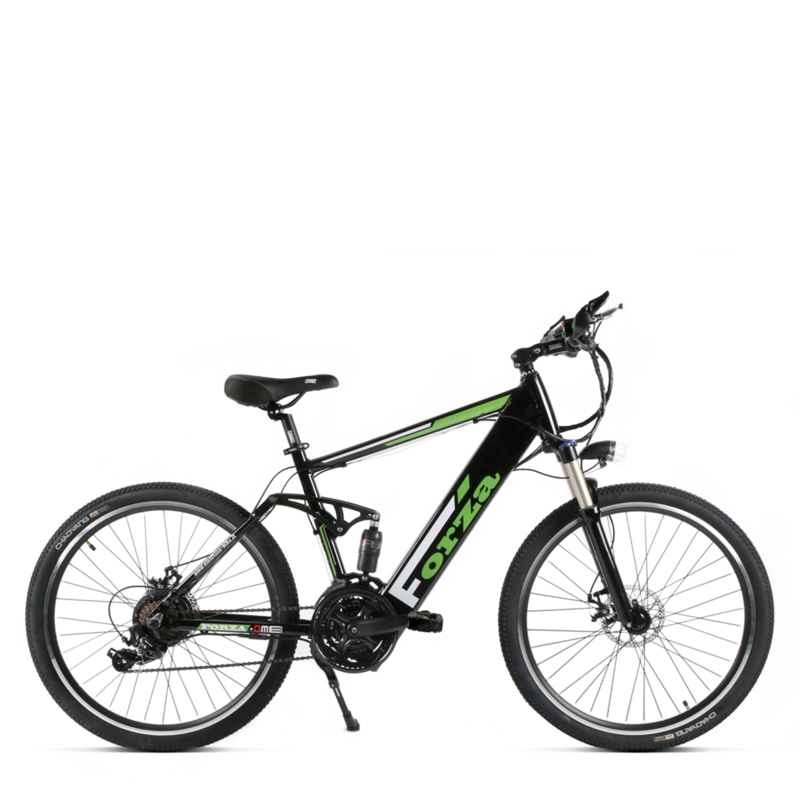 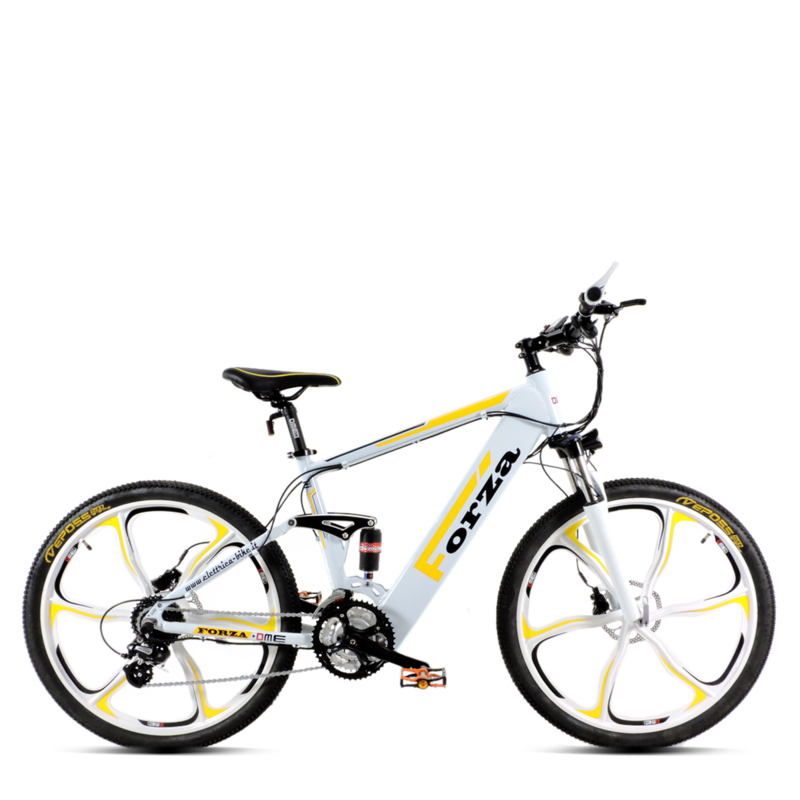 26 "electric mountain-bike, hydraulic brakes, double shock absorber, magnesium rims, 5 levels of assistance. 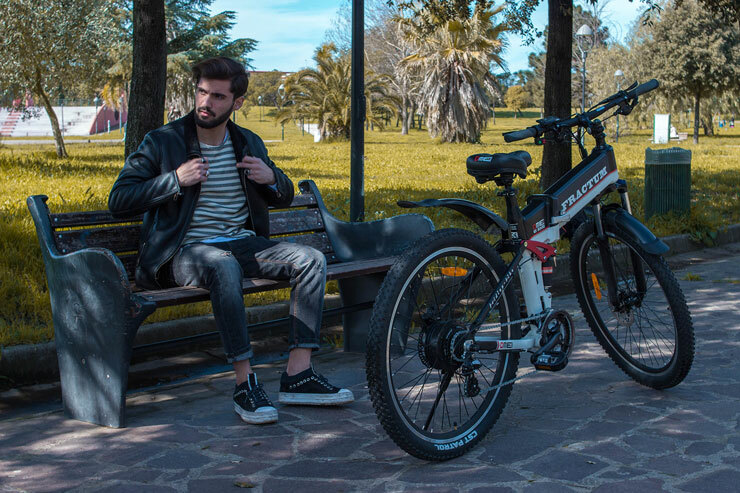 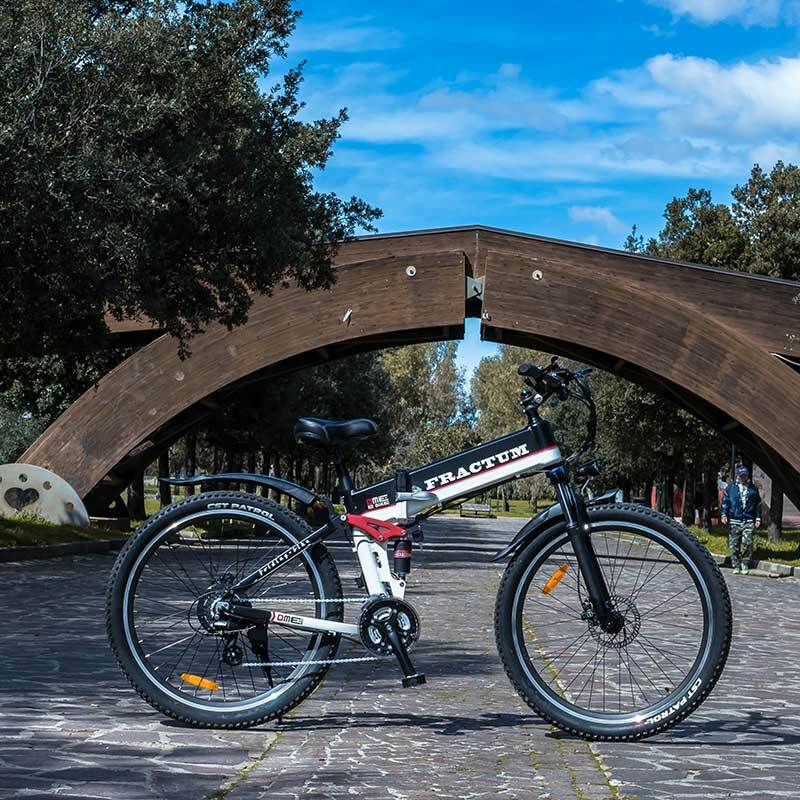 The mountain bike is the ideal bike for those who want to have a bike that can can be rode with the same agility both in the city and in the dirt roads. 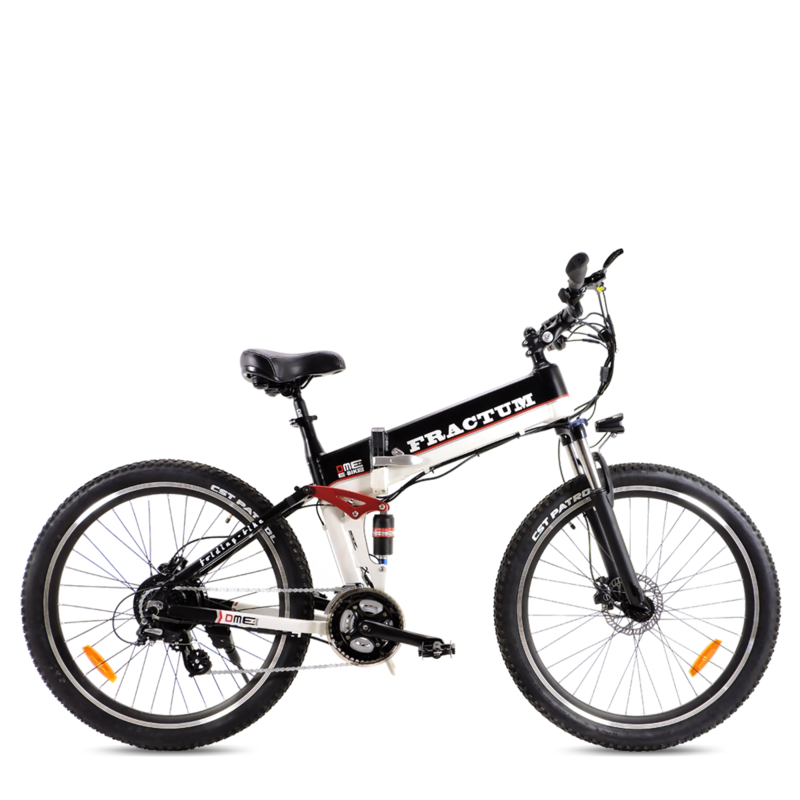 The 26 “or 27.5” wide wheels, the suspension, the 24-speed gearbox and the tessellated tires are the basic equipment of any self-respecting MTB.